There are days I think I really need my head examined. Just signed up for my second 30 Day Video Challenge. OMG! Exciting and nerve-wracking all at the same time. Did I mention I was one of the 5 Grand Prize Winners back when I did the March challenge. Holy Cow! was that an awesome surprise. I went from having done one or two videos several years ago to having 60 published and out there for all the world to see. Even though I’m super super busy and tried to stay away I just couldn’t. You see I got so much buzz and benefit my first time around doing Felicia Slattery and Lou Bortone’s 30 Day Video Challenge in March 2016 that I didn’t want to miss out on all the great camaraderie, bonuses, and benefits when they opened the doors again for a brand new challenge that starts November 1, 2016. Imagine the big business boost you’d get if you had 30 new videos to market and promote your business. Videos that create BUZZ for you! Videos that increase your visibility and raise your online profile! Videos that build your credibility in your niche! Videos that get you powerful SEO! Videos you can post on YouTube, Facebook, your blog and more! 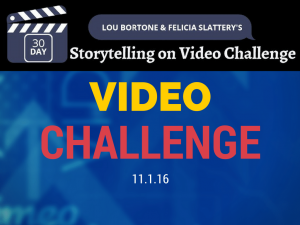 Well, you can make this a reality with my friends Felicia Slattery and Lou Bortone when you join them in their upcoming 30-day Storytelling on Video Challenge! Go see all about it – but hurry because they are starting in just a few days! CLICK HERE for details! Did you miss the November 1st start? No worries. I still recommend you jump in and get started today! Go at your own speed if that feels best for you. Or challenge yourself to catch up. Either way the benefits getting off stuck and into start are worth the effort and anxiety. 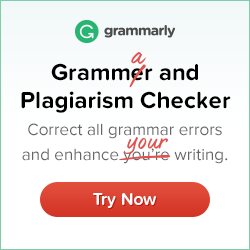 Click here to signup. Hope to see you in the private Facebook group soon. Hope you’ll join us! 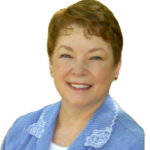 Looking forward to seeing you in the private Facebook group … and the videos you create! Business Rut-Relief. Challenge yourself to learn something new. Oh, my. Did I really sign up for The October 2012 Ultimate Blog Challenge? !